NYC is the fashion capital of the world, Paris or Milan might want to disagree but we will have to agree to disagree on that. Within the city you have the world famous garment district where you will find a concentration of design houses and clothing manufacturers, including plenty of the high end labels you would instantly recognize. This is one of the most vibrant areas in a city filled with coolness. Let’s look at some cool facts about NYC’s garment district. The garment district is named so because of the number of clothing manufacturers and design studios here, it is also called the Garment Center, Fashion District or the Fashion Center. You can find the garment district on the west side of midtown, it is between 5th and 9th avenues and you can find most of the city’s fashion headquarters and showrooms. The Fashion District is referred to as the fashion capital of the world and it generates more than $15 billion in revenue every year. It is the most condensed area of fashion houses within a square mile. You can find every aspect of fashion from design to manufacturing. Sadly, the area is in decline because of outsourcing and offshore manufacturing. The area has some pretty sad roots, it became the center of manufacturing back when it used to produce clothing for the slaves working on the southern plantations. The area grew during the Civil War when uniforms for soldiers were made here. By 1860 the majority of Americans were buying readymade clothing rather than making it themselves, especially in the bigger cities. By 1880 70% of women’s clothing was manufactured here paving the way for it to become a fashion powerhouse. 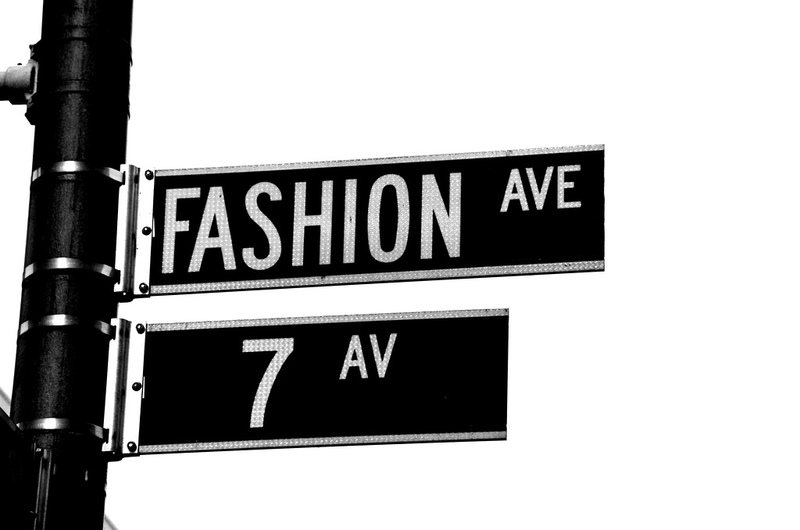 Real Estate prices in New York are contributing to the decline of the fashion district. In response to this designers Nanette Lapore and Anna Sui created the “Save the Garment Center” to try and preserve the fashion businesses that are located here. The only permanent landmark that is dedicated to American Fashion Models is located here, it is much like the walk of fame in Hollywood. It was put together to celebrate fashion designers who have made a lasting impact on the industry. You will find monuments to designers like Calvin Klein, Oscar de la Renta, Betsey Johnson, Donna Karan, Marc Jacobs, Halston and so many others. Even if you are not concerned with fashion, you should still check out the neighborhood, there is a lot of history here that went into building the country.